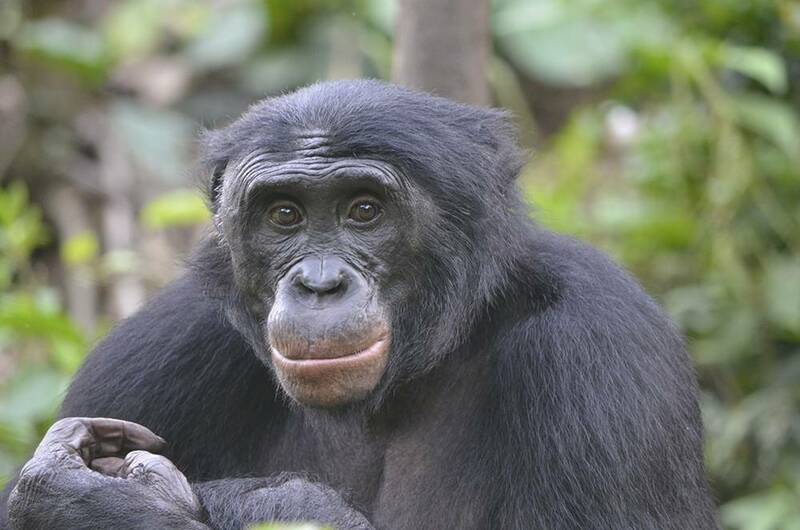 Bonobos Prefer Jerks, say researchers – FIREPAW, Inc. While humans generally prefer individuals who are nice to others, a Duke University study finds bonobos are more attracted to jerks. The researchers were surprised by the findings because these African apes — our closest relatives in the animal kingdom along with chimpanzees — have been shown to be less aggressive than chimps. In one series of trials, they showed 24 bonobos animated videos of a Pac-Man-like shape as it struggles to climb a hill. Then another cartoon shape enters the scene. Sometimes it’s a helpful character who gives the Pac-Man a push to the top, and other times it’s an unhelpful one who shoves him back down. Afterwards, the researchers offered the bonobos two pieces of apple, one placed under a paper cutout of the helpful character and another under the unhelpful one, and gauged the bonobos’ preference by watching to see which one they reached for first. In another experiment, the bonobos watched a skit in which a human actor drops a stuffed animal out of reach. Then another person tries to return the toy to its rightful owner, but before they can a third person snatches it away. Afterwards, the bonobos choose whether to accept a piece of apple from the do-gooder or the thief. In each experiment, the bonobos were able to distinguish between helpful and unhelpful individuals just like humans can. But unlike humans, most bonobos tended to choose the jerks. The researchers also measured the apes’ baseline preferences for each of the people in the stuffed animal skit at the beginning of the experiment, before the drama with the toy unfolded. The bonobos liked the mean people even more after they started behaving badly. The researchers say there may be a good reason for these puzzling results. It could be that bonobos interpret rudeness as a sign of social status and are simply trying to keep dominant individuals on their side. In other words, it pays to have powerful allies. To test the idea, the team showed 24 bonobos another set of animated videos in which one cartoon character repeatedly prevents another one from claiming a coveted spot. The apes generally preferred the character who hogged the spot over the one who yielded. This research was supported by grants from the National Science Foundation (NSF-GRFP DGE-1106401, NSF-BCS-08-27552-02, NSF-BCS-10-25172).